Prem Krishnamurthy and Tina Kukielski. Photo: Sebastian Bach. 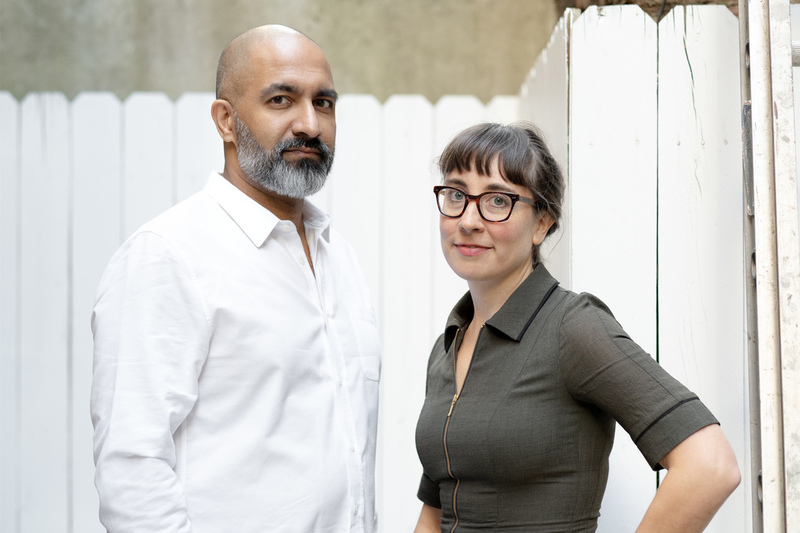 FRONT International, the new regional contemporary art triennial in northeast Ohio, announced today that Prem Krishnamurthy, a designer and curator based in Berlin and New York, and Tina Kukielski, the executive director and chief curator of the New York nonprofit Art21, will serve as artistic directors of its second edition, which will be held from July 17 to October 2, 2021. After a more than two-month run, the inaugural edition of the multimillion-dollar exhibition closed in September 2018. According to an impact study by Cleveland State University’s Center for Economic Development, the triennial generated more than $31 million for the region. The report also estimated that the event netted about $115 million in sales revenue and more than $8 million in state and local taxes. Krishnamurthya founding principal at the design firm Project Projects; a winner of the Cooper-Hewitt, Smithsonian Design Museum’s National Design Award; and a partner and director at Wkshps, a multidisciplinary design workshop focusing on visual identities for cultural organizationshas led multifarious projects with artists, architects, museums, and nonprofit institutions such as P!, the experimental “Mom-and-Pop-Kunsthalle” that he founded and directed from 2012 to 2017 in New York’s Chinatown. During her tenure at Art21, Kukielski became executive producer of its longest-running TV program, Art in the Twenty-First Century, whose recent season featured artists Nathalie Djurberg & Hans Berg, Olafur Eliasson, David Goldblatt, Lynn Hershman Leeson, and Hiwa K, among others. Previously, she held curatorial positions at the Whitney Museum of American Art in New York and the Carnegie Museum of Art in Pittsburgh, and has curated exhibitions in Dubai, Milan, Naples, and Miami. She also cocurated the 2013 Carnegie International with Daniel Baumann and Dan Byers.